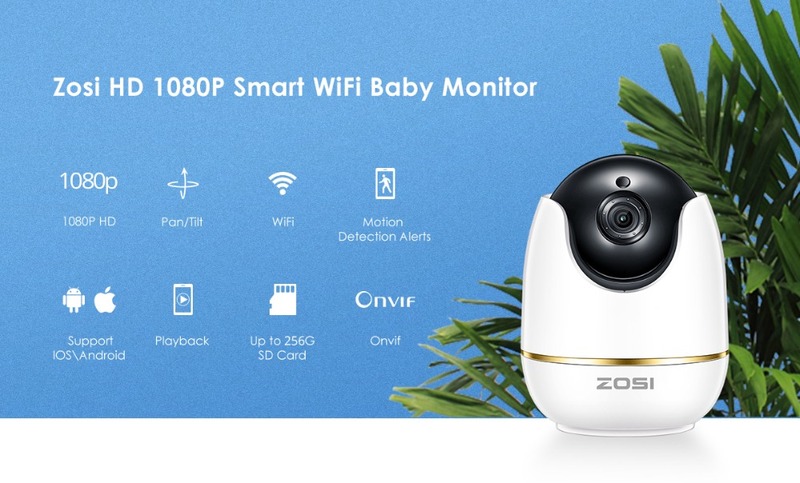 Zosi 1080p IP Camera Wireless Home Security IP Camera Surveillance Camera WiFi Night Vision CCTV Camera Baby Monitor 1920*1080. 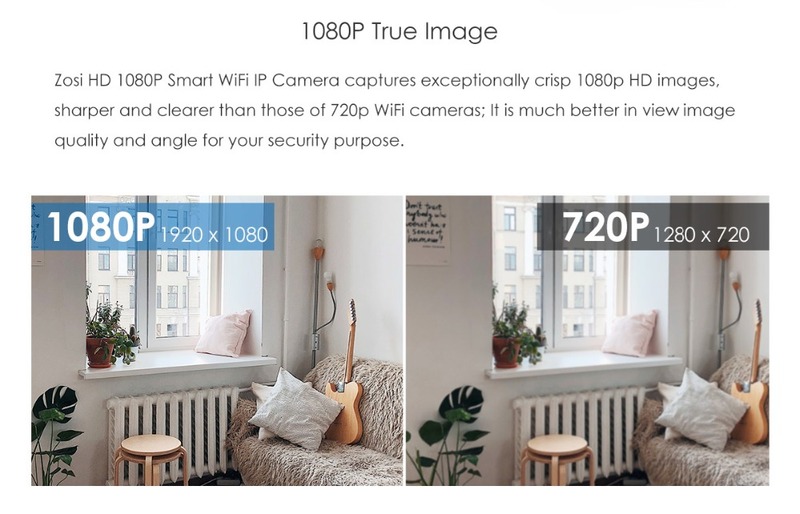 Zosi HD 1080P Smart WiFi IP Camera captures exceptionally crisp 1080p HD images, sharper and clearer than those of 720p WiFi cameras; It is much better in view image quality and angle for your security purpose. Move it up & down, left & right with your phone. 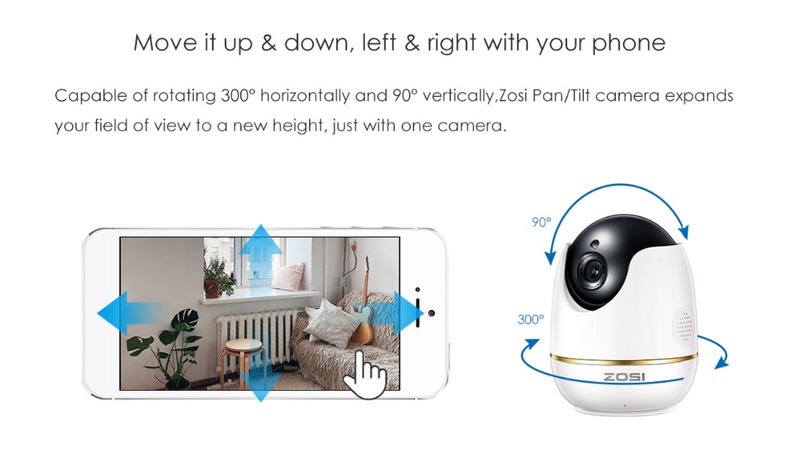 Capable of rotating 300° horizontally and 90° vertically,Zosi Pan/Tilt camera expands your field of view to a new height, just with one camera. · Push alerts message to your mobile phone when a danger is detected. · Record and save motion-detected videos to your inserted Micro SD card (can be up to 256GB). 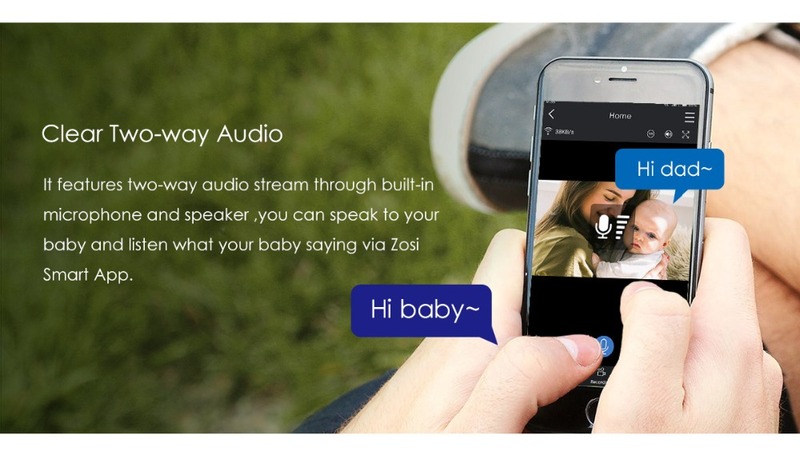 It features two-way audio stream through built-in microphone and speaker ,you can speak to your baby and listen what your baby saying via Zosi Smart App. 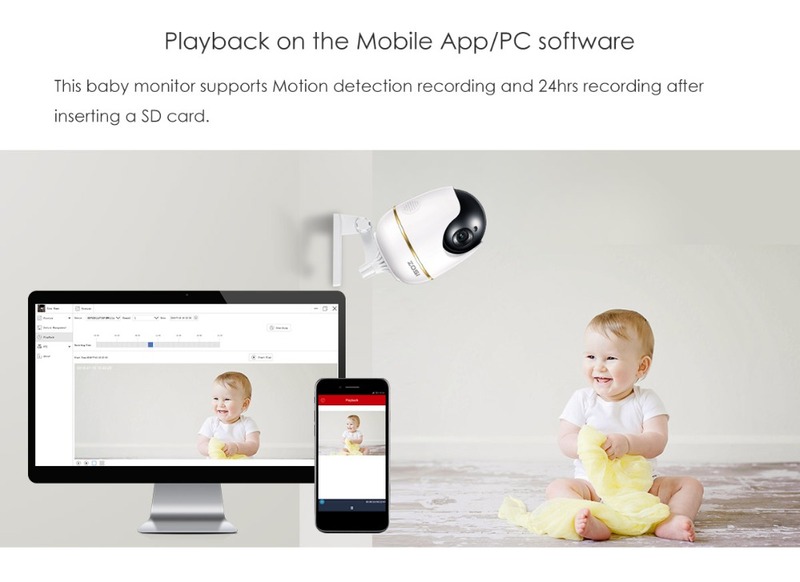 This baby monitor supports Motion detection recording and 24hrs recording after inserting a SD card. Start viewing the live feed from virtually anywhere in the world in minutes. 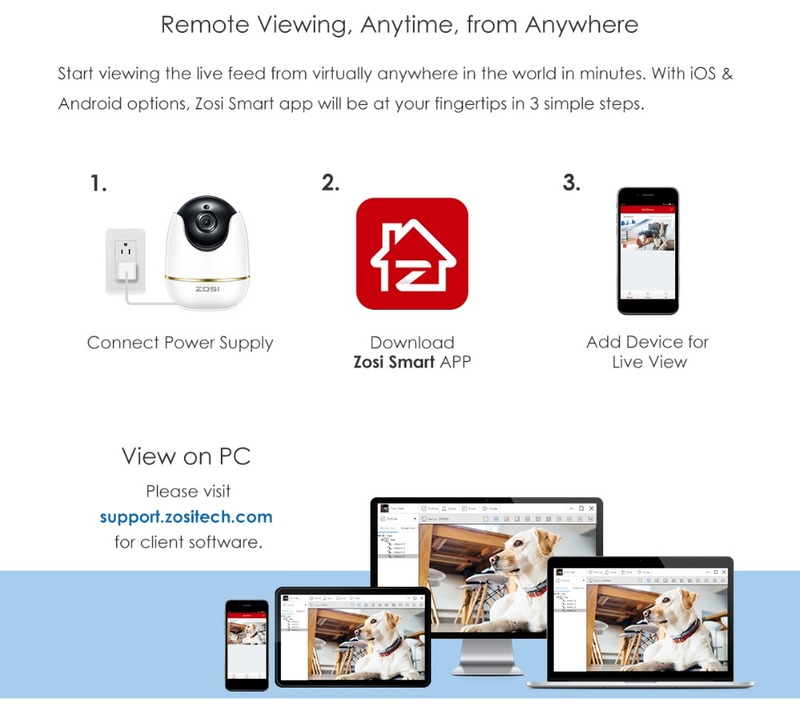 With iOS & Android 4.3 or higher options, Zosi Smart app will be at your fingertips in 3 simple steps. Note: This camera only works with 2.4Ghz WiFi, not 5GHZ. Supported Mobile System:Android 4.3 or higher version,iOS.